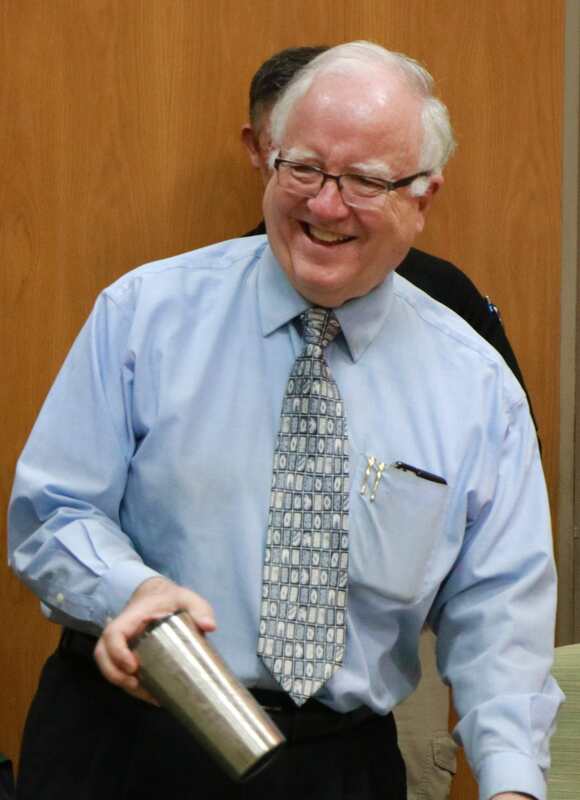 DUNCANVILLE—After over 36 years of service to the City of Duncanville, Judge William J. Neilon retired as the presiding municipal court judge in January 2019. Judge Neilon presided over one thousand criminal court cases during his time in Duncanville and had a private office in town from 2001-2013. Neilon is a founding member of Holy Spirit Catholic Church where he is still a member and is past president of the Lions Club in Duncanville. Judge Neilon graduated from law school in 1970 from Southern Methodist University and was one of the youngest Chairman of the Municipal Judges Section for the Texas Bar in 1987-1988. 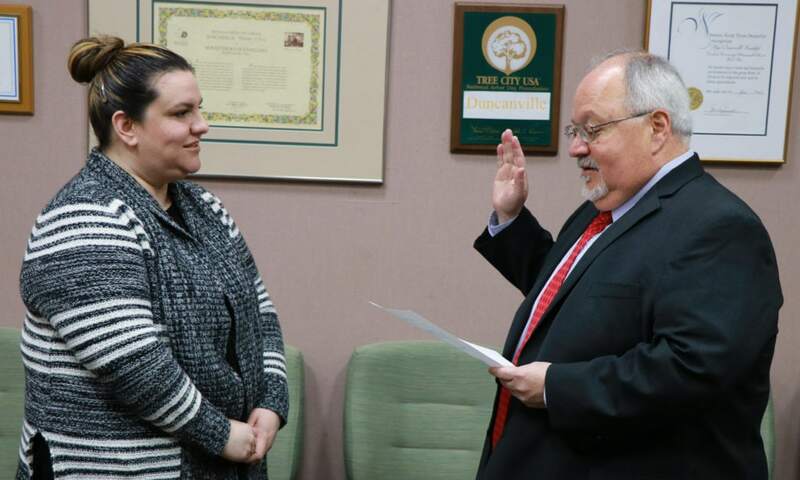 Above Judge Rizo takes oath of office, he is pictured with Duncanville City Secretary Kristin Downs. At the January 15, 2019 Council meeting, City Council voted unanimously to appoint Judge John Rizo to replace Neilon. The appointment of Rizo marks his second term with the City. Duncanville City Council also appointed Anthony Eiland and Kathleen Austin as Associate Judges.